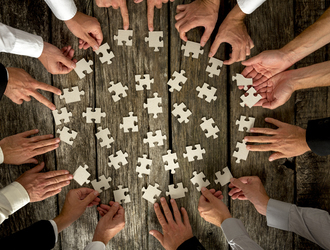 Co-operative groups are generally characterized by an inverted pyramid structure. 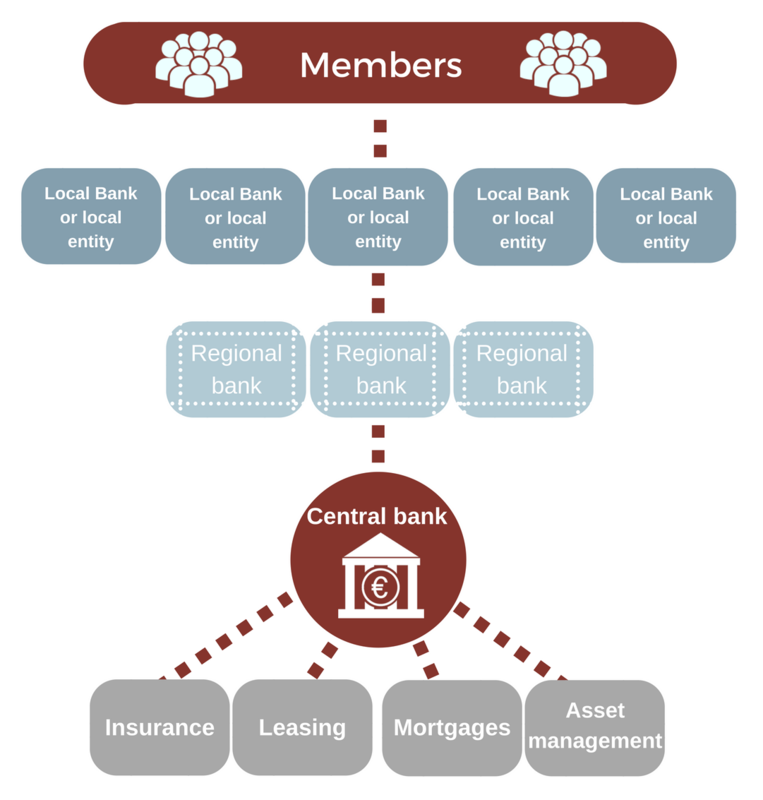 As illustrated below, in co-operative networks/groups, the local/regional banks, with their millions of members, own the central institution and its specialized subsidiaries (directly or indirectly, in which case local banks/entities own the regional banks, and the regional banks own the central institution). This distinguishes these groups/networks from non-co- operative structures, where a holding company owns all local branches and subsidiaries within the group. Some co-operative groups/networks are organized as a two-tier system (local banks - central bodies), while others as a three—tier system (local banks/entities-regional banks- central bodies). The central institution commonly owned by the local/regional banks is indispensable for the latter. Within the network/group, the role of the central institution is well defined. Its fundamental tasks are to ensure the liquidity within the group/network and to provide cash clearing for the local and regional co-operative banks. They also serve as a platform for the access to national central banks. For a complete description 'Different co-operative group/network models – references in the CRR' please download the PDF.